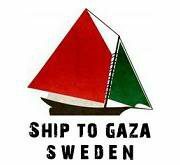 Ship to Gaza has now received an answer to the open letterthat we, through our chairman Jeanette Escanilla, have sent to the Swedish Minister for Foreign Affairs, Margot Wallström on August 5:th. Wallström’s full reply can be read below. Ship to Gaza wishes to emphasize that the wording in the cited paragraph in principle corresponds with our own demands that the crew, cargo and boat should be returned to the place where they were boarded and be allowed to continue their journey to Gaza. We are now being notified that the activists and crew is being deported from Israel. This is not in agreement with our demands or with the requests of the Swedish government. Previous postPressmeddelande: De svenska aktivisterna deporteras idag! Next postAn interview with Ellen Hansson (Ship to Gaza) upon arrived at Arlanda airport in Stockholm, Sweden after being kidnapped by the Israeli marine on international Waters and being kept in Israeli prison for 5 days.